Andrew Boon posted 7th of March 2016 in Social Software. 16 comments. 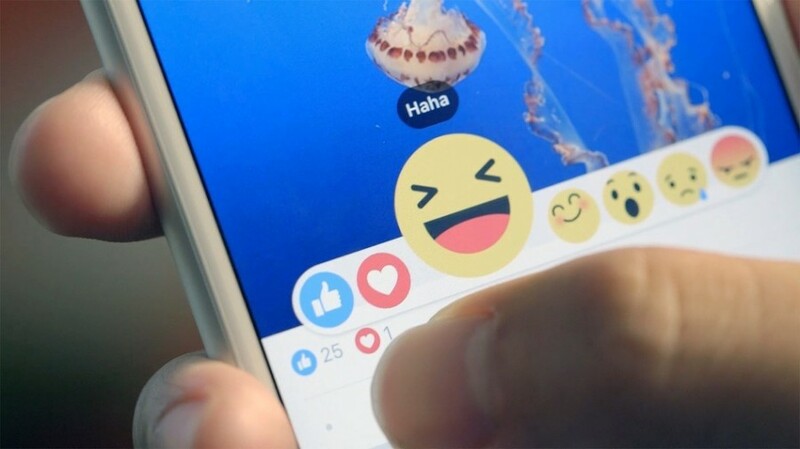 The recently introduced Facebook Reactions are here to stay. It's a good thing. Quite simply they let users express they emotj-ions in a more granular, contextual way. The idea of categorised "likes" had been offered a few times for Dolphin, but has never been mainstream enough to justify development for thousands of Dolphin-based sites. Now, however, it will quickly become a convention that end-users would come to expect. Moreover, custom reactions selection could be used to reinforce a niche community theme. We plan to add reactions as a module for 7.4. So far we think it would be "like, thank-you, love, happy, sad and angry" by default. What would be your ideal combination? Why? Yey, we need face palm. That is also an emoji that is often longed for. Skype does have a good one. Since "likes" have become little more than merely acknowledging a comment, how about a check mark? Yes, good one. Often "like" is used to indicate acknowledgment. It's useless, for me is enough Like/Dislike , Up/Down , White/Black, Green/Red, bla bla bla ... I Know some forums who install such of addons and after 2 months they disable it beacause of huge load on mysql server, and the reason was this emoticons/reactions. If you want to add this in next version 7.4 think how you will cache them beacuse people will start to use them more beacause is much easy to press a button instead to comment an article, and this is another reason why this forums disable them see more because they decreased in comments in favor of reactions. If its a self contained module, thats a good approach. Would be ideal if admin can setup their own icons. It would be ideal if you could define and include custom icons along with the standard set. How hard to have it configurable? Site admin/user feedback could determine what and how many are suitable for a particular site. Yes, configurable it will be. I'm really raising this to make up a default set and draw people's attention. Otherwise it'll be another feature that not many would notice. The base emotions of course, happy, sad, angry, surprised, excited, and a hug one, when you need to give a hug. They need to be better looking and more creative than the ugly Facebook ones. Not too large either. Make people pay to use them.... like gifts. I would love this.. would also love if we can customize it to be unique to our networks..
Only if admins can create their own custom reaction with it's own custom icon. svg and png support I presume?